Mr Modi’s remarkable election campaign may have been fuelled by unprecedented sums of money and magnified by the logic of the first-past-the-post system — which converted a 12 percentage point difference in vote share with the Congress into a 600 per cent difference in seats – but it has helped him banish, for all intents and purposes, the lingering shadows of a darker past. Troubling questions about his record that were met earlier with menacing silence or anger, but never answers, can no longer be asked. With the absolute majority Mr Modi has now delivered for the BJP, a new ledger of accounts has been opened. Any audit of his record will henceforth be on his own terms. Narendra Damodar Modi asked the electorate for 272+ seats and they have given it to him. He asked voters for a ‘Congress-mukt Bharat’ – an India free of the Congress – and they have handed it to him. So reviled was the Congress-led United Progressive Alliance government and so terrible its record of governance that the party has justifiably suffered the worst defeat in its 129-year history. The ‘Modi Wave’ left nearly 60 per cent of the electorate cold and failed to make a major dent in those states where regional parties still enjoy a high degree of credibility with voters like Tamil Nadu, Odisha and West Bengal but it has wrecked the Congress everywhere. The wave swept through Uttar Pradesh, where it also managed to draw away voters from the Bahujan Samaj Party if not from the Samajwadi Party, and of course Bihar too. With the Congress winning less than 55 seats, the 16th Lok Sabha will not have an Official Opposition or a formal Leader of the Opposition. Ever reluctant to shoulder responsibilities in a competitive environment, Rahul Gandhi is once again off the hook. But the question of an effective opposition so essential for democracy is not merely a formal one. Taken together, MPs from national parties like Congress, the Left and the Aam Aadmi Party will barely add up to 60. Regional parties like the AIADMK, the TRS and the Biju Janata Dal, which are non-ideological, or the Trinamool Congress, which veers towards populism but is essentially Bengal-centric, are unlikely to show much interest in, let alone challenge, the Modi government on a large number of crucial areas of policymaking. Mr Modi will lack a majority in the Rajya Sabha for at least the next year so he will either cut deals with regional parties to ensure the passage of legislation in the upper house or look for ways to take executive decisions, especially in the economic and financial sphere where discretionary powers abound. Indeed, BJP leaders close to the incoming Prime Minister have already drawn up a list of measures that could be implemented by administrative fiat. Spared the burden of filling his cabinet with allied parties, Mr Modi will have the freest hand of any Prime Minister since Rajiv Gandhi. So far, he ran a ‘presidential’ style campaign. His style of governance is likely to be equally ‘presidential’. To the extent this streamlines decision-making, this will have a positive impact. But to the extent this concentrates authority in a ‘power vertical,’ his style could be harmful too. While the Indian corporate sector and native and foreign investors in the stock market are justified in celebrating the arrival of a “right wing”, business-friendly government, this is not necessarily the side of ‘Modinomics’ that most BJP voters would like to see. Mr. Modi campaigned hard on a platform of economic development, job creation and an efficient administration, and the 40 per cent of voters who backed the BJP-led alliance did so because they believe he will deliver on these promises. But contradictions exist, especially in areas where satisfying the aspirations of a corporate constituency – for example in the area of labour reform – will perforce end up undermining the aspirations of voters for jobs and job security. Another area to watch closely will be the Modi government’s attitude towards law and order, and especially the right of vulnerable citizens – women, minorities, adivasis and dalits – to security, justice and equity. Mr Modi lost a golden opportunity during the election campaign to assure India’s Muslims that they would be safe under him when his attention was drawn to VHP leader Pravin Togadia’s suggestion that violence be used to evict a Muslim family in Bhavnagar that had bought a house in a so-called Hindu area. Will Mr Modi as Prime Minister be more concerned about the insecurity Indian Muslims feel than he was as a candidate for the job? Will he find a way to reach out to this crucial section of the population which today views him with distrust? Or will he regard any talk about addressing their concerns and fears as “appeasement”? Mr Modi’s critics can be forgiven for feeling a knot in their stomach today but this is not the first time the Indian electorate has ignored the unpleasant baggage a candidate brings and been seduced by the dream of technology, development and corruption-free government. In December 1984, Rajiv Gandhi won 404 seats barely a month after his Congress party presided over the mass murder of Sikhs in Delhi, Kanpur, Bokaro and other north Indian cities. Rajiv was an attractive figure for young voters who embodied the same kind of technocratic promise that Mr Modi does today. The mandate Rajiv received was even more decisive. He ran a government with virtually no checks and balances, and was the darling of the corporate sector. But as his failures mounted, the temptation to create diversions and play the politics of vote-banks proved irresistible. This is the future an India under Narendra Modi must avoid at all costs. Excellent article Dr. Varadarajan. The parallel with Rajiv Gandhi and his naiivete of development is SO well adduced. I remember the time when we had to turn off the doordarshan for showing long tedious Rajiv speeches. The essay is also provocative in the right mixture especially when media channels want to use the euphoria of BJP victory as a subterfuge to dull our intellect and impel us to acquiescence. The mass media is happy to organize studio cockfights and leave real issues unaddressed. They are happy that we are moving to a US-style “presidential” system in our focus on the persona of Modi. That works in the US, which is an honest and simple society. But for India it is hugely detrimental given the complexity and diversity of issues that face us. The media is also responsible for its silence on the erosion of a number of unspoken good values of electoral politics. For instance, the bifurcation of promises on a written and an oral register is a terrible precedent set by the BJP, but one largely unexamined in the mainstream media, with a few notable exceptions like you. The BJP took the votes on the basis of oral promises of vikas. Their manifesto, however, mentions Ram Mandir and Uniform Civil Code. They will build the Ram Mandir – and why shouldn’t they, it is written in ink – only a question of time (most likely after Pres Mukherjee’s term ends). When Modi chided the RSS for making Hindutva comments in a tweet, it was for campaign considerations. He was not upset that a minority-threatening issue had been raised. In all, your article gravely underscores that the recent electoral victory has only been the clearest and the most standard case of winning by realpolitik…..Alas when we are ravaged, we understand how things are constituted. Good analysis. However, when Mr. Siddharth Varadarajan asks the question “Will Mr Modi as Prime Minister be more concerned about the insecurity Indian Muslims feel than he was as a candidate for the job?”.. I think Mr. Varadarajan himself seems to suggest in the next sentence that its not a question that is worth expecting a positive response on. Mr. Rajiv Gandhi may have played with religion when all else failed. Mr. Modi, his background and his party, all provide sufficient indications that they will move to try and dismantle institutional protections such as they exist today for our Muslim citizens. These are concerns that all Indians concerned about their history should watch out for. Here in the United States, some of us NRIs look forward to welcoming Mr. Modi with bloodied hands. Afterall, facts do not disappear because the powerful do not like it! I think virulent,paid and spineless media is far more dangerous than any other thinkable danger in India. Dont forget that Modi was made by Media propoganda.It is Media that has failed the country.Unless we rescue Media from the shackles of Crony Capitalists, from Consumerism nothing good ever is going to happen to this country. Why are we so pessimistic? Can Modi’s victory be not viewed as a collective step towards a certain bright future? Why can’t we all be partners in creating that bright future? On mr. Ram’s comment : Modi is not just the creation of media alone. His own strength, solid support from his party and the determination and hard work by the grass root workers and the negative contribution of media along with positive and powerful contribution of social media created MODI. My conviction is “Media will be rescued from the shackles from crony capitalists by the growth of social media in the long run.” It is just a matter of time. Process has started. More prosperity, more personalized gadgets and more and more information thru personal contacts. If media does not behave, people will care hoots. Good piece of writing. A small point. 19% vs 31% of vote share bet Cong and BJP works to 24% diff between the two of them and not 12%, if you will call diff in the seat share as 600% . We all know it is Paid Media that created this huge ‘Development’ propoganda.No good in any society is ever possible without Independent Media. We public are a bit tired of donating to AAP.We have donated more than 70 crores.Even if we donate more to the coming Delhi Assembly re-elections; AAP hasn’t got a chance against Modi’s Extreme Election Engineering and Paid Media. But we shall all collect 100 crores under ‘Independent Media Fund’ and start a Media Society, a sort of Public funded Media managed by a Janlokpal style Board. What are your opinions on this?Do you think it will work?Will it bring balance and change in the venomous and highly virulent Indian Paid and Corporate Media Scene?Will 100 crores be enough to start?Will it be viable financially?? If you think it is viable let me know I can send my first 100 dollars.I am serious.I can collect upto 5000 dollars on my own. Any update on this plan? I can send my first 100 $ as well. Another worrying factor about the mandate, particularly in the context of women, is the interpretation of this mandate by fringe elements such as the Bajrang Dal etc. I think about Maharashtra after the Sena came to power. Under the ‘New Indian voter’s aspiration’ theory the issues of social justice are brutally ignored by the mainstream political discourse and corporate media. The neo-liberal policies will get a boost which were kept in abeyance by the UPA due to its want of majority in both houses. An efficient ‘environmental (disaster) clearance system is in offing. As a strategy he/BJP/RSS may not opt for an immediate persecution of minorities other than some legal interventions. The Hitler era in Germany was infamously famous for its industrial leaps. The inevitable crumbling of Congress and its genetic engineering experiments in democracy may force the people to find a real peoples platform/s to fight. Can’t help drawing parallels with AIADMK and JJ, another autocratic leader of a party that spent a long time out of power. Both leaders passed through a stage of bluster and a sense of unrealistic entitlement to power and immunity from their pasts, best called out by Karan Thapar. Whether the nation has or not, they have come to terms with their transgressions, partly by fiercely selling sops and bright futures to the electorate and partly, by fortifying their PR systems. It is conceivable that Modi’s biggest priority will be to keep his job, even at the expense of his party’s communal agenda and the demands of the corporate elephant in the room. A very balanced piece Mr Varadarajan, There is much to be apprehensive about and yet it does represent “vox populi” – the voice of the people. Somehow I do feel we have got to a stage when a genuine debate about religion and caste is now not possible. There are some very radical views that exist in the so-called “elite and intellectual” that is very disconcerting. I cannot forget the history of all parties concerned (be it 1984, 1993 or 2002) and yet do agree that one has to look ahead. There is a certain majoritarian view that is being echoed a bit too loudly and sharply. I fear the intellectuals, poets and thinkers that we had during our freedom struggle seem to have been replaced by aggressive polemics. Here are a few lines from Tagore’s Nationalism which was written just before the 20th century about India’s role in the world (that was being torn apart by war). ‘Come, Peace, thou daughter of God’s own great suffering. Be not ashamed, my brothers, to stand before the proud and the powerful With your white robe of simpleness. Extremism in Hindus is rising. Wont be surprised that 2014 election results are compared to the seeds that 1906 separate electorates laid. Now India officially has a subject class in Muslims. No representation, no development and no life with dignity. The tragedy is that history textbooks have been so distorted and the law so weak, that even top schools in India are producing bigots and abusers. Without a good team, this miracle performance with majority on its own, is impossible for anybody. Let us wait and watch. new back office young advisers with a different perspective angle of the good of rural India where the votes lie, will start working. That may help Modi to continue. Yes… It’s too early to tell. He really needs to go out on a limb and prove himself! too must be feeling uneasy at this huge mandate with NO OPPOSITION to thwart/oppose/reject policies that may not be benefecial to their interests. It will be interesting to see how Modi along with his chosen team deal with crimes on women, children, and those who have no representation in the government.Corporates and business houses may cheer at this mandate, but running a country is not only about creating atmosphere for robust economic growth and helping business magnates but also putting in place efficent affordable systems for healthcare , education and just the basic requirement of living a decent peaceful life with no threat to self and pelf. He must always remind himself that it is not only Gujarat but the welfare of this vast diverse country -its people, its environment, its natural resources that a Prime Minister and his team must PROTECT-NOT EXPLOIT. Hindutva must take a backseat. Hope he chooses his team wisely for a progressive India. You make a mistake when you compared Rajiv with Modi. Rajiv was a novice who had only the experience of organizing the Asiad, while Modi has captained Gujarat magnificently for 12 years. Apart from that, it’s a good article. And don’t worry. If not the opposition, the Social Media will keep the government in check (no kiddin’). What is the objective of this article? 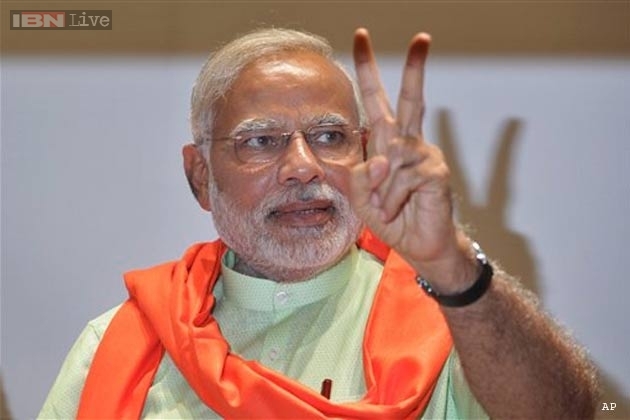 Every issue that you have raised for/against Mr.Modi are true for every govt since post socialist India (post 91 if you may).why should Mr.Modi stand greater scrutiny/trial by fire/ higher standards of statesmanship in comparison to his predecessors.No party in India can be acquitted of the crime of caste/religious politics.Further every govt has a blemish on human rights track record. well said sir, but there is real possibility that RSS would interpret this mandate as an approval of its divisive agenda and they would pursue their poisonous policies at the cost of idea of India. i wish, they would prove us wrong. I find the article quite positive. However, minority appeasement should stop. From here-on we should attempt to build a society of equals. Minorityism, Reservations and special privileges just build a divided society. It’s high time we aspire to become a meritocracy adopting the “value” called generosity! Dear Mr Ramaswamy – I am not sure what you mean by appeasement? What word would you use to describe by those in Bhavnagar who want that Muslim family evicted from a “Hindu street”? For all the allegations of appeasement, did the Congress actually do something for “appeasement” other than the talk of OBC reservation to Muslims. Sir, Its the same word you would use for the inactive state AP Cong govt. and Cong govt. at centre when Mr. Owaisi had one of his several oral diarrhoeas these last few years. I think the that word we are looking for is called “OUTLIERS”. There always are. Especially in our diverse country. It is neither that either (Mr. Togadia & Mr. Owaisi) of their comments justify the others’s nor that either’s comment is less heinous than the others’s. I feel that, what ever that Mr. Modi is being accused to be guilty of, now, especially after the mandate he has been given, we are to give him time to see how he is going to behave over time. Any premature commentary on this, in spite of Mr.Modi’s assertions on such indiscretions (via. twitter), look cynical and bordering on fear-mongering. But I find most of the rest of the article very constructive though. Really menacing silence? These questions cannot be asked? Odd. I thought they had been asked at least 7 million times between 2002 and today. And i believe they had been answered as well. I know it is hard to leave the time-warp you’re stuck in, but the reason he did not do that is because this is not a country of Hindus and Muslims. It is a country of Indians. He doesn’t need to reach out to Muslims, because he is reaching to everybody – or nobody. And Indians – true Indians, of any faith, recognise that. The divisions between Hindus and muslims are in your head. Not theirs. Having seen the UPA 1 & 2 bungling along the years they were in power, I feel the electorate could not have given a better reply. Modi’s speeches in Vadodara & Amdavad yesterday after the results, if anything reveal an astute leader. It was very easy to take a dip in the euphoria of the sea of goodwill that was evident in the audience. On the contrary he showed great composure and maturity by calling for the assistance and cooperation of all the parties, winners and losers. I am hopeful that his vision will prove to be an infection and will and should take all Indians by storm. We have subsisted for too long and now is the time to show ourselves our mettle. Cliche it is but let us not jump to conclusions. A small point; Modi can get financial and economic issues sorted without using his discretionary powers. Money bills do not need to go to the Upper House. Sir your analysis of a topic and then driving the point home are things we need to learn. This entry was posted on May 16, 2014 by Siddharth Varadarajan in Indian Politics, Narendra Modi.